Today was so green that we had to shout out three #WingTrades top plays! 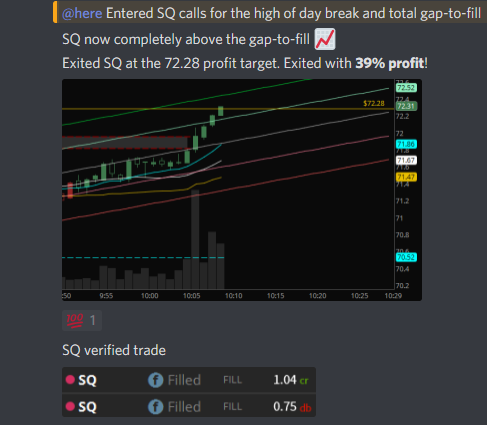 First is this 24% play on SPY calls by Aaron from WingTrades! 24% took him less than an hour. Next up is another play from Aaron at WingTrades bringing in 39% on SQ calls!! With today’s biggest winner though, we have Paula with a 44% week long swing on AMD. 2/1 -2/8.